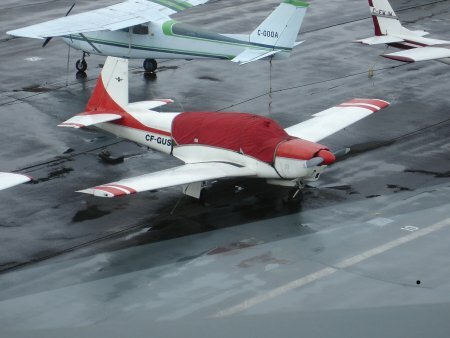 This airport was the residence of CFGUS full one year. I learnt so much in this year, mostly at this airport; a lot of frustration and also a lot of triumph. The airport was a challenging one, as the runway was shortest I had mainly operated. There were obstacles like trees and the fences on the approaches. 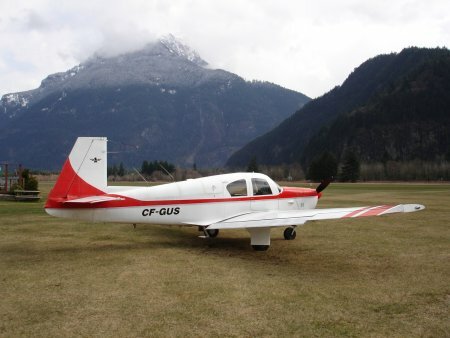 On top of that, this was the hardest airport to find, located in the vast plain of the Fraser Valley, far from the Fraser itself. I'm saying this after flying to Yellowknife and Wisconsin on a small Cessna 150 without any kind of Nav Aids. On those trips, I was never lost. 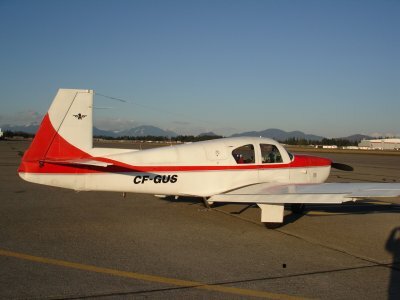 At around Langley, several times I could not locate the airport; the worst case was after snowfall, another time in poor visibility. Each time I requested radar vector to my home port!!! 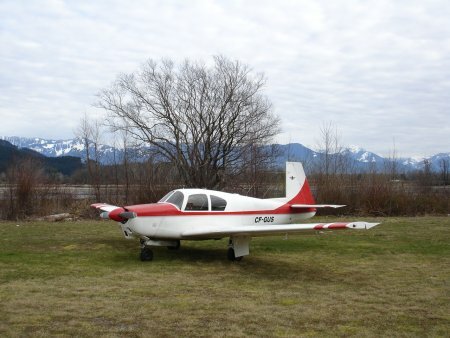 Good bye to all this; I'm moving to Pitt Meadows Airport as of April 1st, April Fool's Day. Throughout the history of Japan, the government (Tokugawa, Meiji, Taisho or Showa) scandalized the rights of its citizens. And even now they won't take responsibility. 60 years ago, my family lost so many things in the night of March 9th by American strategic bombing of Tokyo. That single night, 100,000 people perished. We were lucky to survive. Yet the strangest of all is that we never received any kind of compensation. 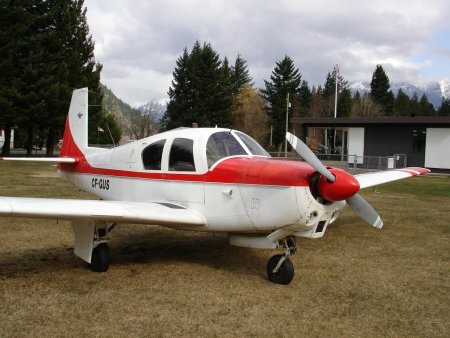 My father lost the house and a small machine shop, where he was making aircraft parts. The Lucky Four Range on the left. The runway is grass/gravel on the left. According to my magnetic compass, 03/21 may be close enough runway heading. The south end with tall trees and power lines along Hwy. 7 (Lougheed). From north, over Harrison River there is no obstacles. Yet, often the wind is northery. In fact, the runway length is sufficient for 03 after cleared those obstacles. The accurate runway length; unknown. Hope Mountain in the backdrop. CFGUS needs a wash. It's never been washed since the current owner purchased it; one year. 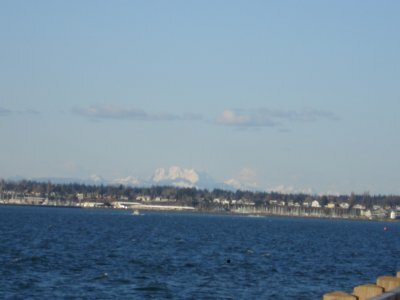 Golden Ears Mountain in Maple Ridge, BC seen from the park by the railroad crossing, Bellingham, WA. It just reminded me of another multi-model trip candidate. Ride from my room door to the foot of Golden Ears and then climb this peak in a day. 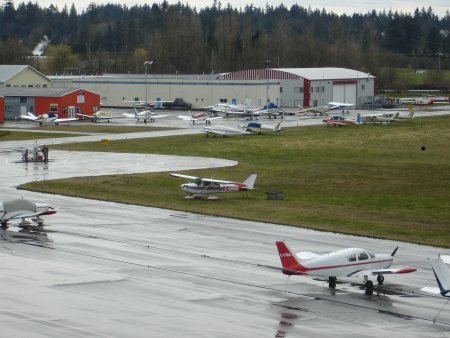 At the ramp of Bellingham Airport. See by Cycle Club had a Sunday ride in Bellingham in Washington State. I grabbed this as a golden opportunity of multimodal trip. 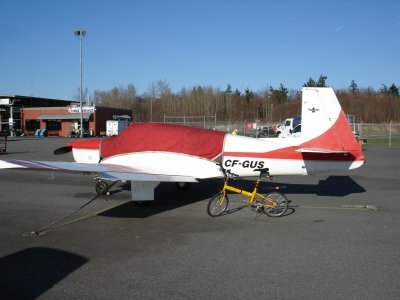 Saturday, day before, I carried my foldable bicycle on CFGUS from Langley to Bellingham Airport. For lodging, I had a plan to stay at Fairhaven Hostel, which was next to the meeting place on Sunday; you couldn't expect better. There was a mystery; I couldn't find the hostel though, where I actually stayed some years before. 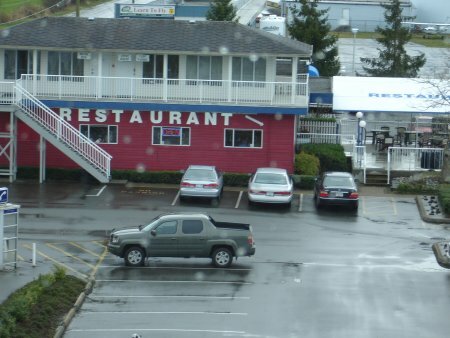 Anyway, a friendly gas station staff showed me an economical motel 20 minute ride away. The price was almost the same with IH, yet I had a full room with clean bed sheets and washroom. What more would I have wanted. 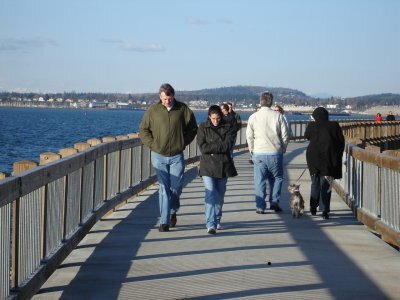 The Bellingham Bay promenade deck. I guess this was new, as it ended abruptly. So, I had to back trace to the starting point. Overlooking Robbie Reid mountain of BC from next door country. Once I was on a mini-expedition trip to this mountain led by Chris Cooper, renowned explorer. The access was unique; we rented a classic voyager canoe and rowed to the end of Alouette Lake, from where we started hiking up, quickly put skies on. We camped on the righthand skyline ridge. Overnight the snow changed to rain. We continued up, but the freezing rain turned us around before reaching the main ridge. 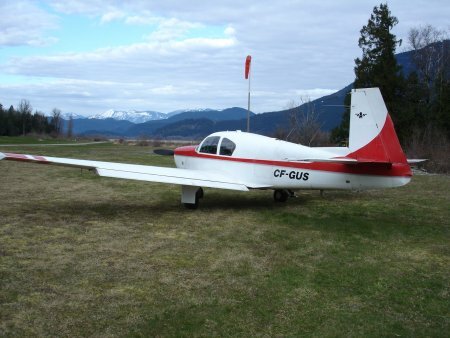 Years later, a helicopter instructor took me to the very top of the mountain by Robin 2 seater; 10 minute ride from Abbotsford. Well, we are back in Canada. 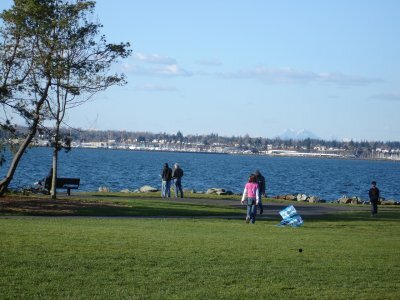 I always used Boundary Bay to come back from the States, after Vancouver International started charging a landing fee. This time for a change, I chose Abbotsford. The Tower led us to Canada Customs and expected to see their office. On the contrary, I found a small phone box under the sign of CANPASS.